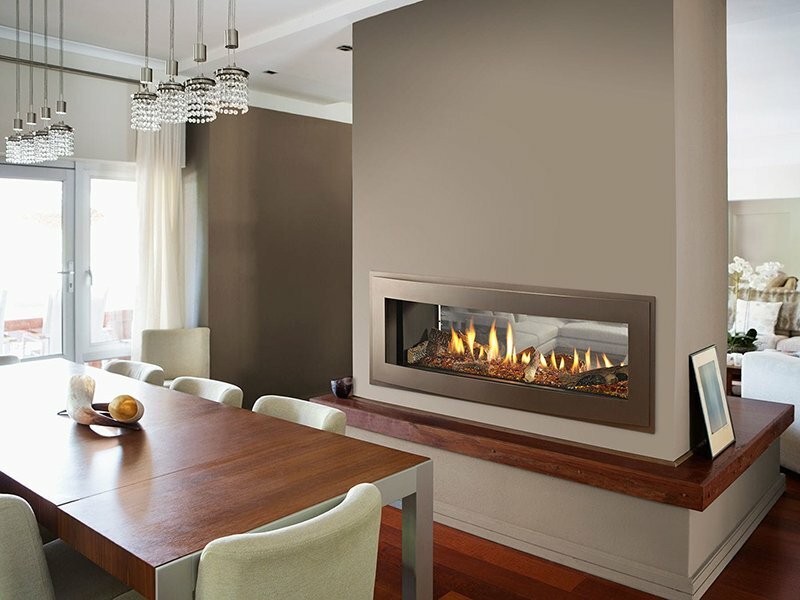 A double-sided fireplace would be a lovely addition to your dining room. As we all know, a fireplace is important for a home because of course, it brings warmth into it during cold nights and especially when it is winter. Aside from that, a fireplace can also be an added decor to the house as well. You know there are homeowners who love to decorate that mantel in various occasions. It would be fun to do that for sure. The location and position of a fireplace also matters and has a huge impact to entire home especially on its layout. If you use a double-sided fireplace, it could be a nice way to use as a divider. 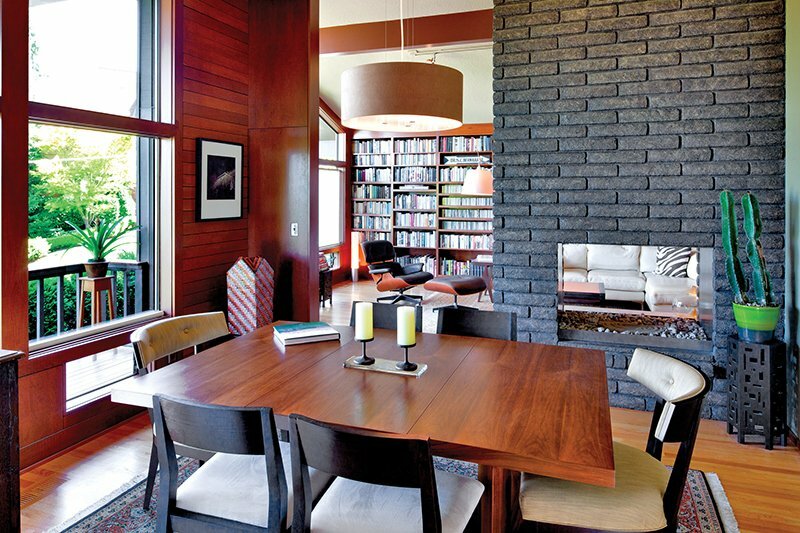 In most cases, a double-sided fireplace is added in between a living room and dining room. This is because the living area and the dining area are the places in the house where we spend most of our time and where we also entertain guests. It is the public areas in the house which would need heat when the weather is very cold. Planning to use a double-sided fireplace? We have here a round-up of dining areas with this type of fireplace to give you ideas on how it would look like to have a two-sided fireplace in the dining area. 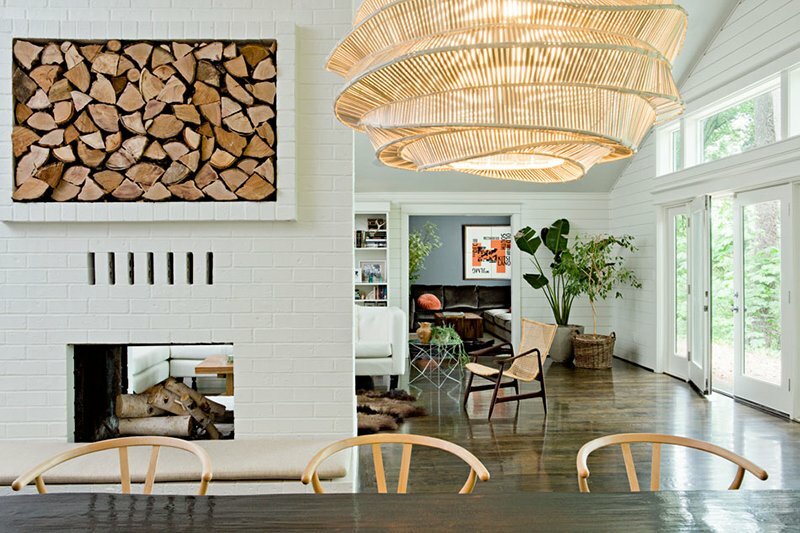 I am digging that pendant light! I so love the color and design that compliments with the color of the fireplace. Who wouldn’t love the contrasting colors in this dining area? That fireplace is indeed a beautiful statement in the space. 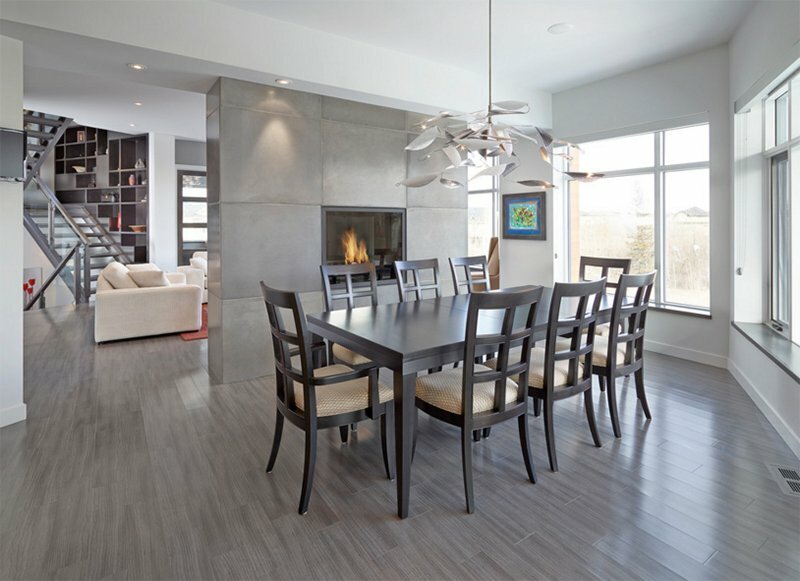 A stone fireplace is not new to us but if you want a contemporary approach, you can try using sleek lines on it just like the one in the picture. Wood and black looks nice together, right? That concrete fireplace is a nice addition to the space giving it a subtle industrial feel. Or you can opt for a modern fireplace like this one which doesn’t eat up a lot of space. 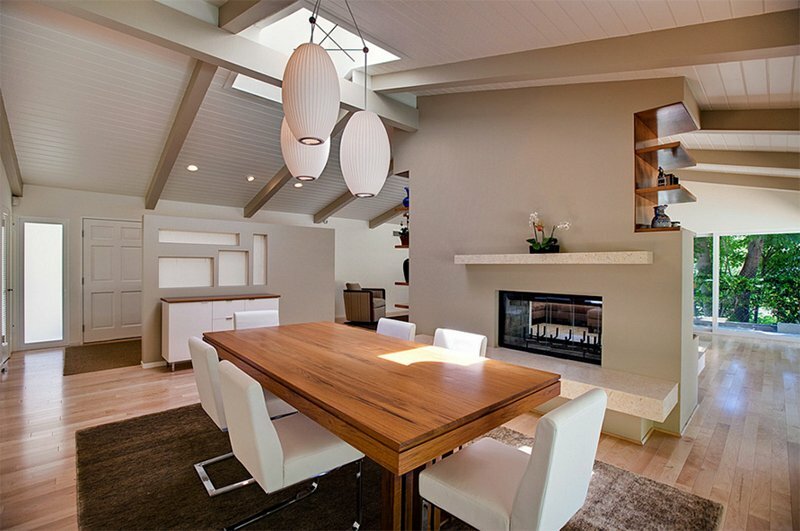 Don’t you love the idea of having an elevated dining area? A beautiful dining room that features farmhouse dining table lined with slip covered linen dining chairs. And it also has a double sided fireplace with rustic mantle over white oak floors. 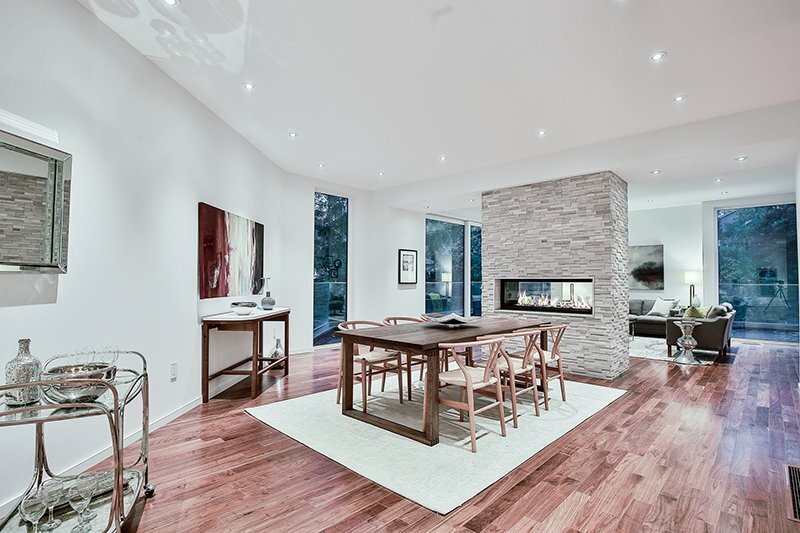 A textured double-sided fireplace is seen in this dining room which also has a double-height ceiling. Lovely place indeed! 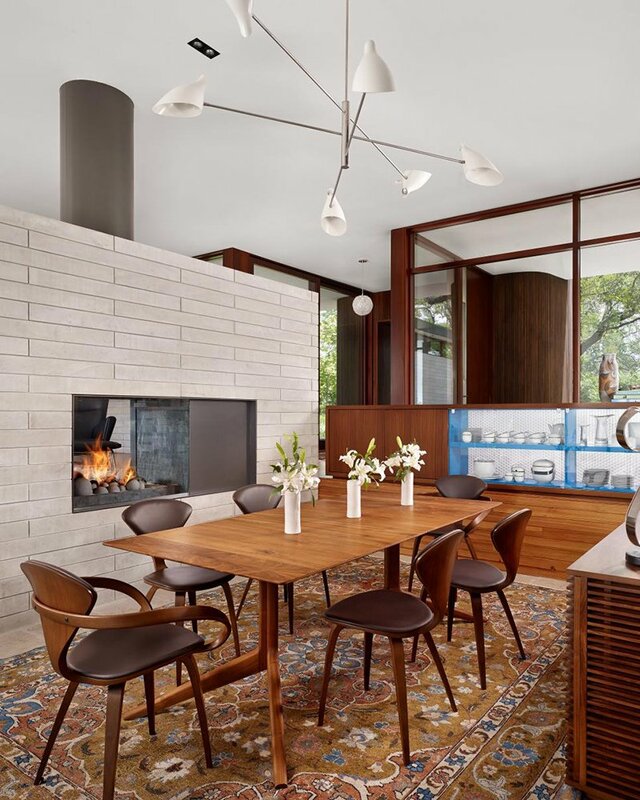 A midcentury modern dining area on a printed area rug with intricate patterns. That modern fireplace looks great with the wooden elements in the house. 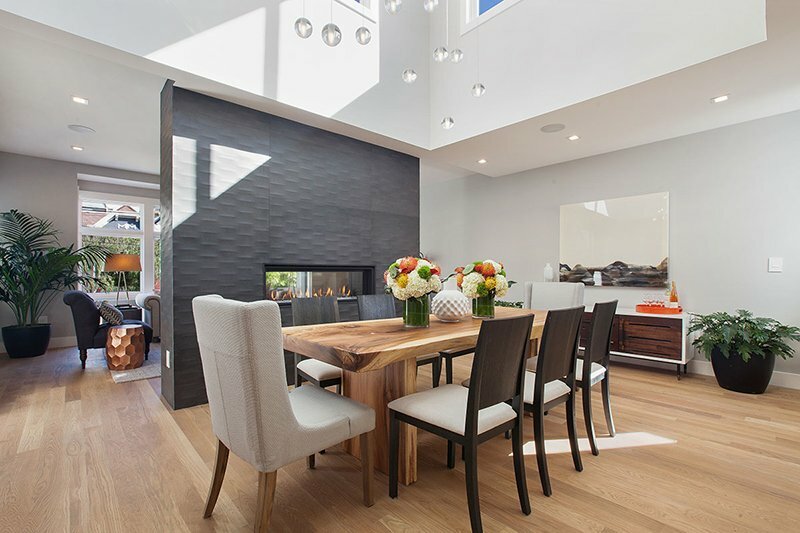 A sleek looking fireplace grace the dining and living area of this house. I like the neat look of this one. 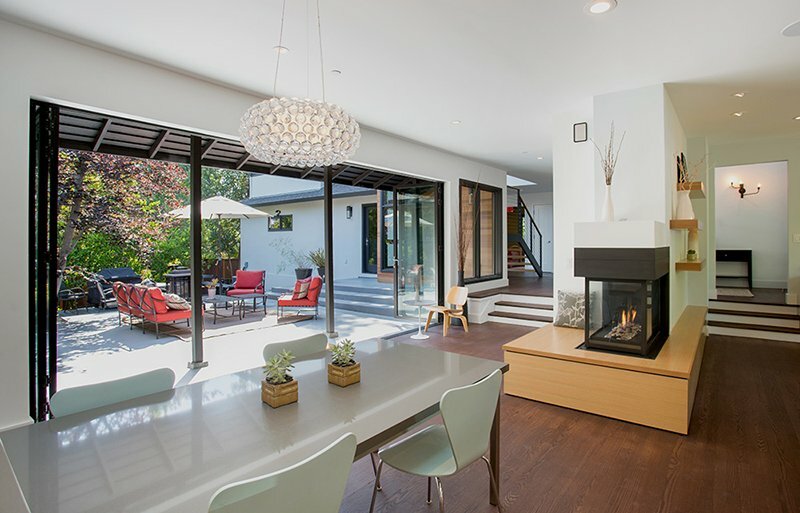 A spacious home has a floor to ceiling divider that bears the modern fireplace. Aside from adding warmth to the space, it also appears like a large sculptural feature in the interior. The pattern from the flooring as well as on the fireplace goes well together and because of the white walls and ceiling, the area doesn’t look busy at all. A nice dining area with a simple yet artistic wall decor. 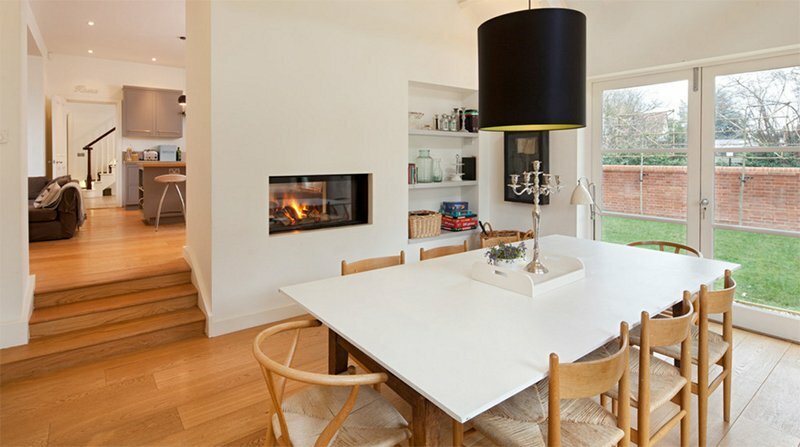 A white fireplace stands in the middle of the space to separate them from each other. I like those candles on the table! A brick wall fireplace is added in this area that looks really very nice especially that the dining area has a wooden table and white dining chairs. A sophisticated home with many luxurious elements. 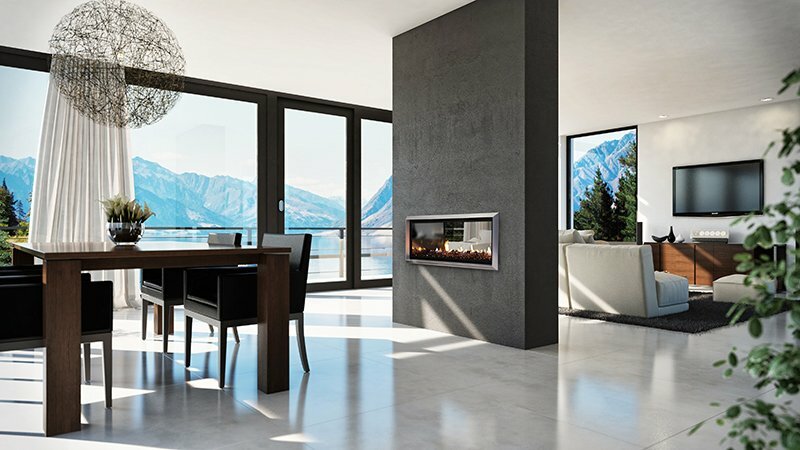 Instead of a tall fireplace, it has a low two-sided fireplace. 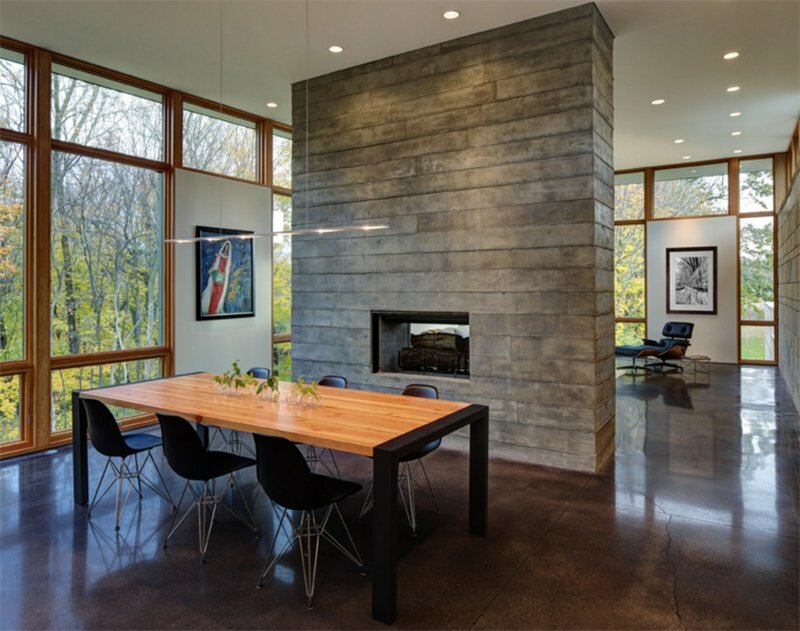 A beautiful concrete fireplace is seen here which separates the dining area from the living area. You can also notice that there is a long wooden table with comfy chairs around it. You can also position a fireplace in this manner if you have a lot of space in your dining area and in the rest of the home. If gray is your favorite color, then you will surely fall in love with this dining space because it bears that color from the furniture to the fireplace! What caught my attention here is the gold dining table. Well, who won’t be captivated by such beauty anyway? I also like it that they added a large simple wall art on the fireplace. Notice also that the fireplace has shelves on the side. 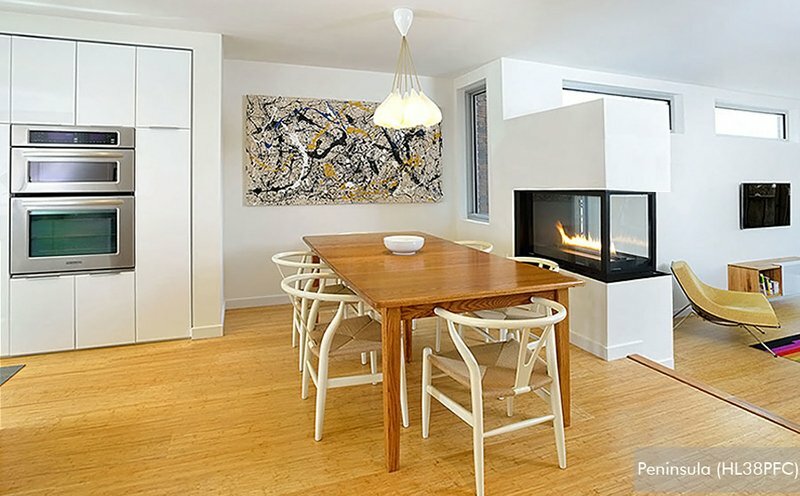 The reclaimed acacia wood dining table seen here is thirteen-foot-long and on its backdrop is a white brick fireplace which also has storage for firewood. Isn’t this a beautiful dining area? Like what I always say, white and wood really looks lovely together! 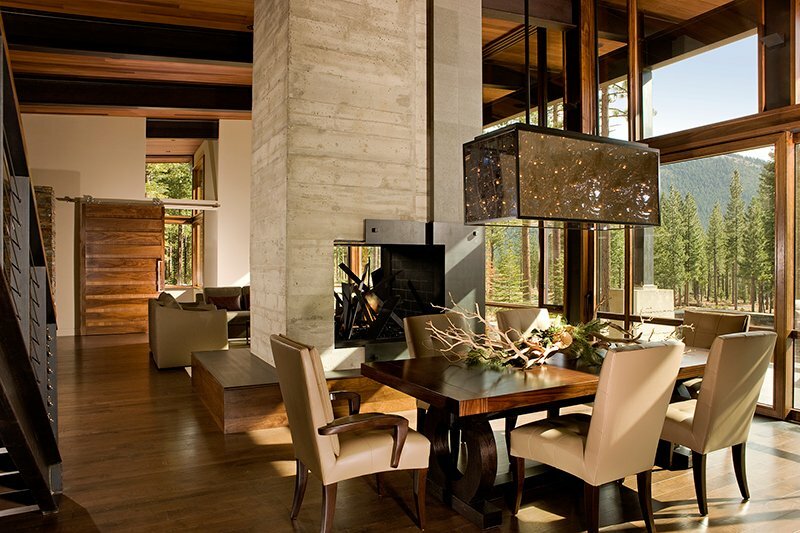 I also love the different shapes of the pendant lights which has a darker color than that of the fireplace. A dining room that incorporates a double sided fireplace/hearth and mantle and shelving wrapping to living room side of the wall. This privacy wall brings appeal to the entire interior. Above the white dining table is a black pendant light with yellow interior that breaks the wood-white combination of the space. Along the steps is a white double-sided fireplace. 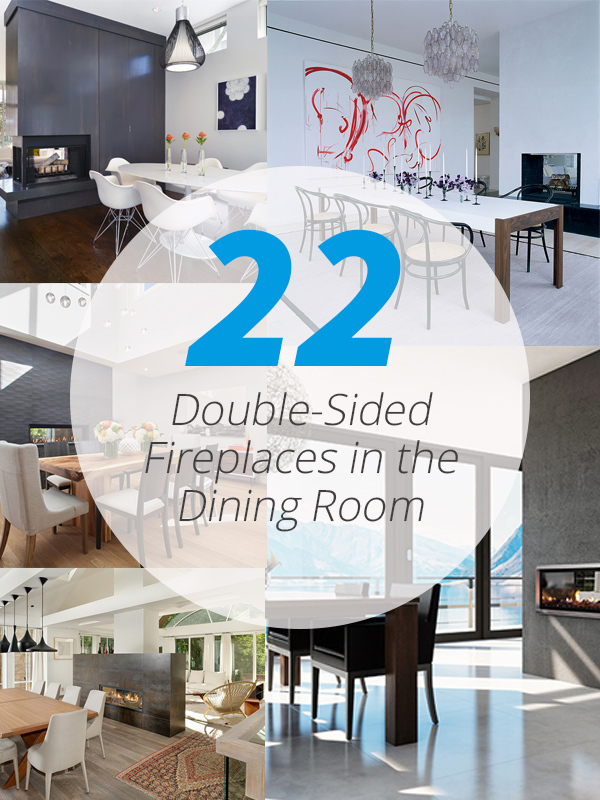 It is indeed nice to add a double-fireplace to your home which can have a double duty function as a divider. 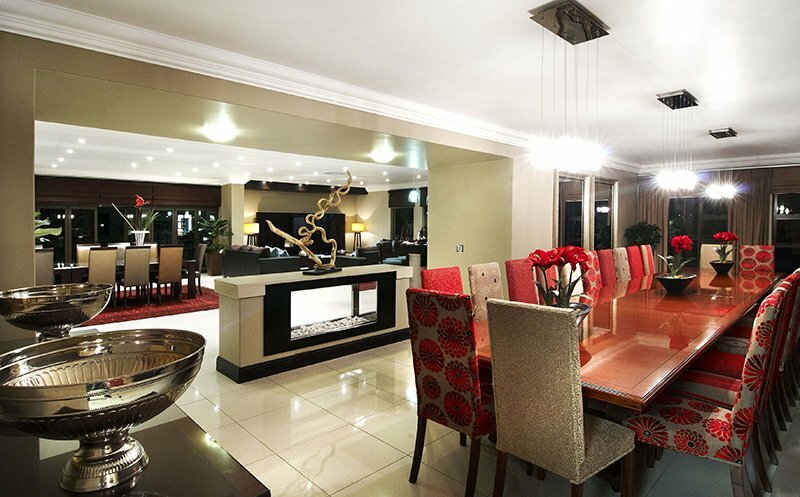 Well, if you have beautiful fireplaces like the ones above, you will surely have a lovely home. Notice that the fireplaces come in various designs and styles as well as different finishes. Looking good, right? They all look great indeed! So, with the inspirations from above, I am certain that you will already have an idea of how your dining and living area would look like if you add a two-sided fireplace.